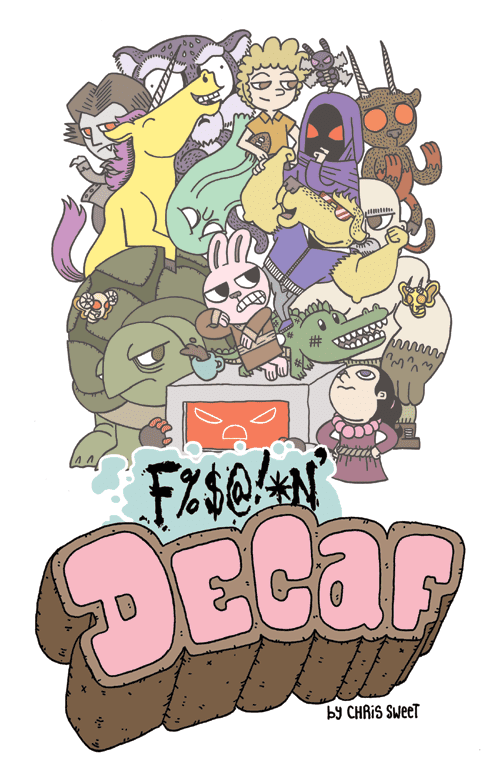 Effing Decaf Volume 1 (PDF) is now for sale on GumRoad! You can purchase it here! Effing Decaf is a comic about a frumpy bunny and his adventures skulking around a land of butts-nutts and dingle-whatevers. © Chris Sweet. Creative Commons Non-Commercial Share-Alike Attribution License. Spread it around!. Powered by Blogger.